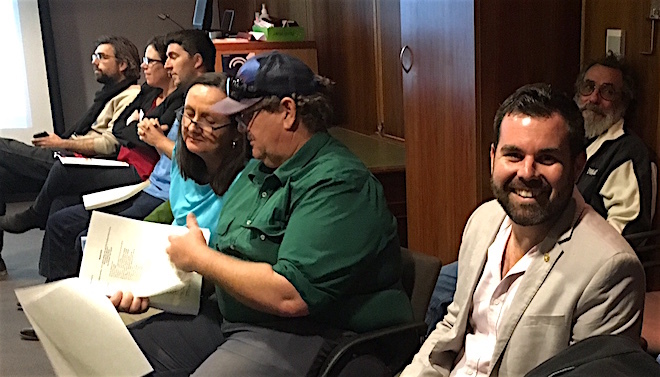 Above: The youth curfew issue drew three out of four of the Centre’s NT pollies into the council chamber, from left, Araluen MLA Robyn Lambley (instigator of the “nighttime youth strategy” including a curfew when she was on council), Stuart MLA Scott McConnell, and Namatjira MLA Chansey Paech, against a curfew and for youth outreach. 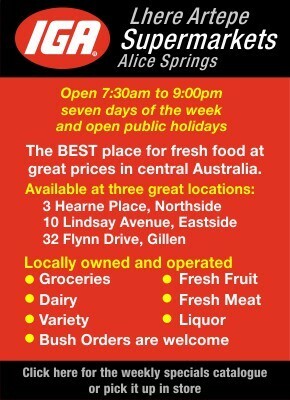 Alice Springs is “under siege”. Rock throwing and property damage are at “an alarming level”. The community is “scared to go out at night in fear of an attack”. This is “crippling our town”. No community could “sustain this for long periods of time”, financially or spiritually. Young people’s “unlawful behaviour” has produced a “diabolical situation” in the town. With these terms Councillor Eli Melky hoped to persuade the Town Council to back his call for an emergency youth curfew. But if this is a correct reading of the mood of some people in town, it was wide of the mood in the chamber, where a quorum was achieved last night after the deferral of last week’s scheduled meeting. Even Cr Steve Brown, attending the meeting by phone, who has called for a curfew on past occasions, said that a curfew would only lead to “a cat and mouse” game between youth and police. Right: Cr Melky responds to Cr Brown, who could be heard from a ceiling speaker. He agreed with Cr Jacinta Price, also attending by phone, who recognised the problem of property damage but said the greater danger is to “these children’s lives”. She spoke of grass roots actions, such as working bees to get community centres on the town camps up to scratch, engaging with Red Hot Arts to run creative activities there, and with programs like Right Track, expanding from the AFL to other sports: keep young people off the streets but “give them something as well, something to look forward to”. Cr Brown agreed: in the vast majority of cases young people on the street would be better dealt with by youth infrastructure and services, he said. In particular, one service got the backing of the meeting: the Youth Street Outreach Service (YSOS), infamously defunded by the Giles Government in early 2014. 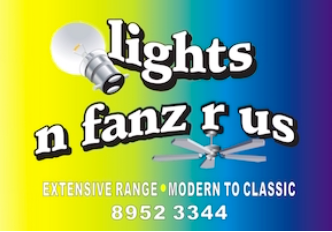 Deputy Mayor Jamie de Brenni won the political stakes of the night in part by putting his name to a motion that called for its immediate re-introduction (by writing a letter to the Chief Minister this effect). This looks set to get the full backing of council in its final meeting next Monday before going into caretaker mode ahead of the August election. Cr de Brenni also looked effective in being involved in the “youth behaviour group”, set up after recent public meeting called by Wayne Thompson. It has Territory Families Minister at the table, he pointed out to Cr Melky, as well as the Member for Namatjira, Chansey Paech, and the Chief Minister’s Department. Two local Elders want to be part of it. They’re meeting on Wednesday. “The community wants ownership,” he said. Supporting these community members while having key government figures at the table is better than writing a letter, he argued, although in the end he also called for a letter. YSOS was seen by the majority as the missing link, the additional service that needs to complement the government’s new Youth Outreach Centre in the former Central Comms building on the Stuart Highway. Key to YSOS operations, in the view of councillors, were its workers, who knew how to engage with youth, and its hours: they were out and about till 3am. Cr de Brenni blamed its demise on “management”. He seemed to forget that it was the Giles CLP Government (to whom he was close) who pulled the pin without anything to go in its place. Instead he cited former Greens council candidate Matt Campbell on the merits of the service and the Member for Namatjira who, he said, was “adamant about the success of this work”. But to this Cr de Brenni added that “curfews are for parents”, that the job for a service like YSOS is to get kids, many of whom are “not criminal”, back to their parents “to get it sorted”. Councillors Brendan Heenan and Dave Douglas also rejected the curfew proposal. Sensing political defeat, Cr Melky lashed back at Cr de Brenni: he was at a loss to understand what Cr de Brenni thinks the role of council is; his group does not have the weight of a statutory authority like council does; the community is looking to council to be its voice. He also said that danger to youth is his “most important point”, as evidenced by the list of strategic actions that accompanied his motion, some of which covered the suggestions of other councillors. Mayor Damien Ryan suggested though that some of Cr Melky’s actions didn’t “add up”, such as asking for later nighttime bus services well after curfew hours. Mayor Ryan has stayed away from the “positive loiterers” at Beaurepaires, frequented by Cr Melky, where the emphasis is on ‘taking back’ the streets. The Mayor has chosen instead to “spend a couple of nights out” working with the FOCAS (For Our Community Alice Springs) group. These are volunteers engaging directly with young people, providing food and transport to “very successful” activities run by Tangentyere Council and the Gap Youth Centre. Cr Melky’s core position then began to unravel. He told the meeting that his emergency curfew was not proposed as a blanket measure; rather it was to be targeted at “ring-leaders” who are “well-known to police”. None of this had he suggested to that point. It was already all over for his motion, but Cr Melky looked weak in attempting this last-minute adaptation to the mood and looked even weaker in trying to again go on the attack against Cr de Brenni only for the Mayor to shut him down. “You can’t,” protested Cr Melky. “I can,” insisted the Mayor who after all was in the chair (standing in for Cr Jade Kudrenko who was on personal leave). Is there a seconder for Cr Melky’s motion? asked the Mayor. Silence – that said it all. Mayor Ryan managed to get council to skirt the question of flying the Aboriginal flag on Anzac Hill, by suggesting the possibility of flying it from the MacDonnell Ranges at Heavitree Gap – a flag of the magnitude of the Australian flag flying from atop Parliament House in Canberra. For interest: that flag is 12.8 metres long, 6.4 metres high, which is about the size of a double-decker bus; it weighs 15 kilograms. There are 14 of them, rotated regularly so they wear evenly, and it takes a team of three “specially trained people” to raise and lower them. The flag on the ranges idea will be left for the next council consider, but Cr Price thought it “an ideal place”, Cr Brown said it was “a nice idea” and Cr de Brenni saw it as a way to show “we are a united town”. 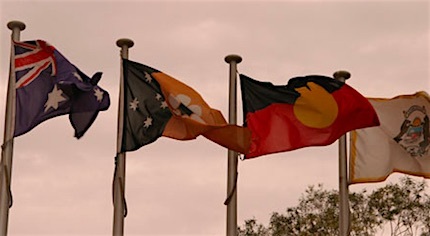 Cr Melky showed his diligence by having looked up council’s flag policies, of which there are two, one for the flags at the Civic Centre (above), which include the Aboriginal flag, another for Anzac Hill (where only the Australian and Territory flags fly). Even CEO Rex Mooney was not across these policies, which pre-date his time on council, going back 15 years now. No-one in the chamber articulated an understanding of the point of flying the flag from Anzac Hill, which is to acknowledge its dual status – as a sacred site for Arrernte people, today and since before colonisation, as well as a war memorial site since the 1930s. The range at Ntaripe (Heavitree Gap) is also a sacred site. 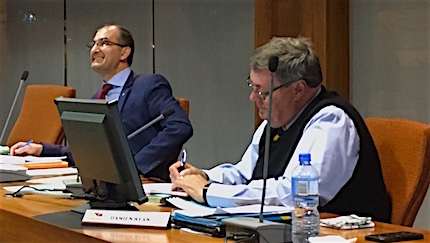 Cr Melky attempted to get on the front foot at the start of last night’s meeting with a proposal likely to please many a ratepayer: the refund of the rate rise, drawing on the money set aside in the 2017-18 budget as payment for the Civic Centre loan. That loan was fully paid out on 3 July, for which Cr Melky can take credit. This payment was made from council’s capital infrastructure reserve, which leaves the allocated amount in the budget without a purpose for the time being. At over $.5m it exceeds the revenue to be collected from the rate rise. Alternative to the refund, Cr Melky suggested that ratepayers might be involved in deciding how the saving could be spent. But he got no support. The chamber followed Mayor Ryan’s direction: nice sentiment but any decision should only be made after the post-audit budget review in October. This was backed by the CEO, who described Cr Melky’s suggestion as “inappropriate” even though not illegal. Councillors stuck to their guns on the siting of a park in the Kilgariff subdivision. 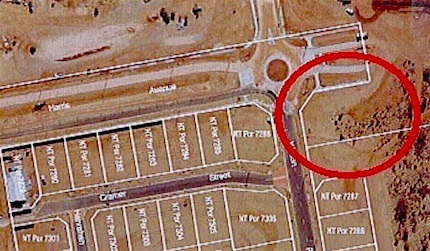 They were being asked to approve a name for the park but declined to do so, as they have previously, because they don’t think the park is in a safe location, bounded by the roundabout and main entry road into the subdivision (see the circled area at right). Councillors want the Land Development Corporation to come back to them with a different location. Cr Brendan Heenan and Cr de Brenni were particularly forceful on this point. 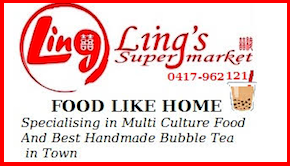 It beggars belief that a new subdivision can have been created without the siting of this key community asset and focal point being fully resolved at the outset. The decision by our Mayor and councillors against Eli Melky’s proposal, that is, to use the savings effected by the early loan repayment to defer a rates rise this year, speaks volumes about this present council’s priorities. 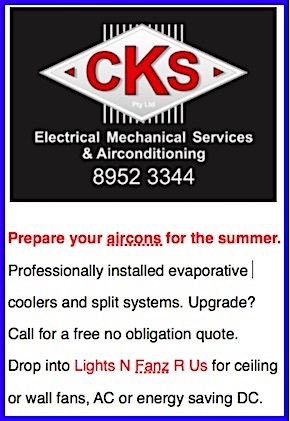 Ratepayers could do with some economic relief in these difficult times, but council prefers to pocket the loan savings AND raise rates at the same time. Their decision helps make tour town that much more un-affordable and will not help reverse our declining population. Thanks Eli Melky, for at least trying. The idea that a strong focus on youth will stop the current issues in our community seems a little misguided. There is a lot of talk about the lack of respect for people and property that these young people are showing there’s probably a lack of self respect as well. A lot of the responses in online forums also demonstrate a lack of respect, “kill them before they breed” for example. This is where we need to focus some energy. On respect. I think there is a long history of a lack of respect for Indigenous people in central Australia going back 150 years. It’s caused all sorts of interconnected issues and will never be unravelled by a curfew or other measures that don’t recognise the root causes and the history of the current situation. We can all work on being a bit more understanding and respectful and our governments local territory and federal should be leading this. The council could recognise the Mparntwe-arenye people as original owners, who have never been consulted about having a town built on their country, and start working to care for some of their sacred sites that have not been too damaged by development and stop supporting development on these sites. The feds and territory governments could start listening to and empowering communities to develop and run their own solutions instead of a top down approach that has clearly not worked. They could also start to dismantle some of the racist policies that they have in place. And empower Indigenous communities to start rebuilding the respect for elders and each other that has been lost through a long history of abuse and paternalism etc etc etc. You say, Kieran, that: “It beggars belief that a new subdivision can have been created without the siting of this key community asset and focal point being fully resolved at the outset.” Well, I for one am not surprised. 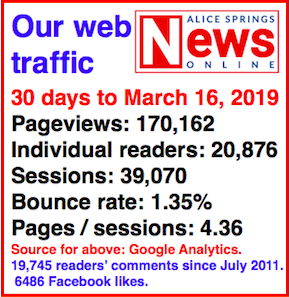 As one who devoted many days during the so-called “public consultation” stage that led to the creation of this subdivision, I’d say it demonstrates very well the fact that Alice Springs is very poor at any kind of town planning. Perhaps the reason for this can be found in your report on Council’s last meeting, where the positioning of a flag trumped discussions on looking after neglected children on our streets at night and the waiving of a rates rise that would have given struggling citizens some well-deserved financial relief at this difficult time in our town’s development.